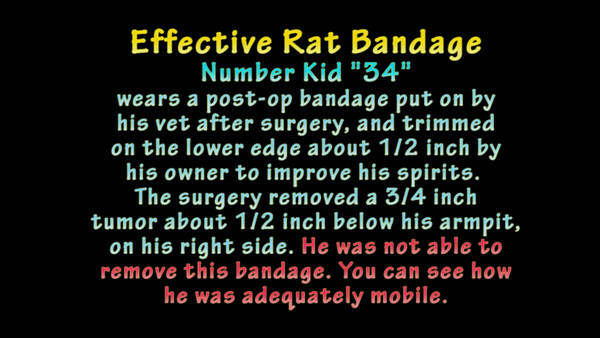 Rat 4: Number rat 34 in his post op body wrap, 1st bandage put on by the vet. While he was able to reasonably move about, he didn't eat well. His owner changed his bandage but he removed the 2nd one. Enough days had passed that his incision was healed well enough.